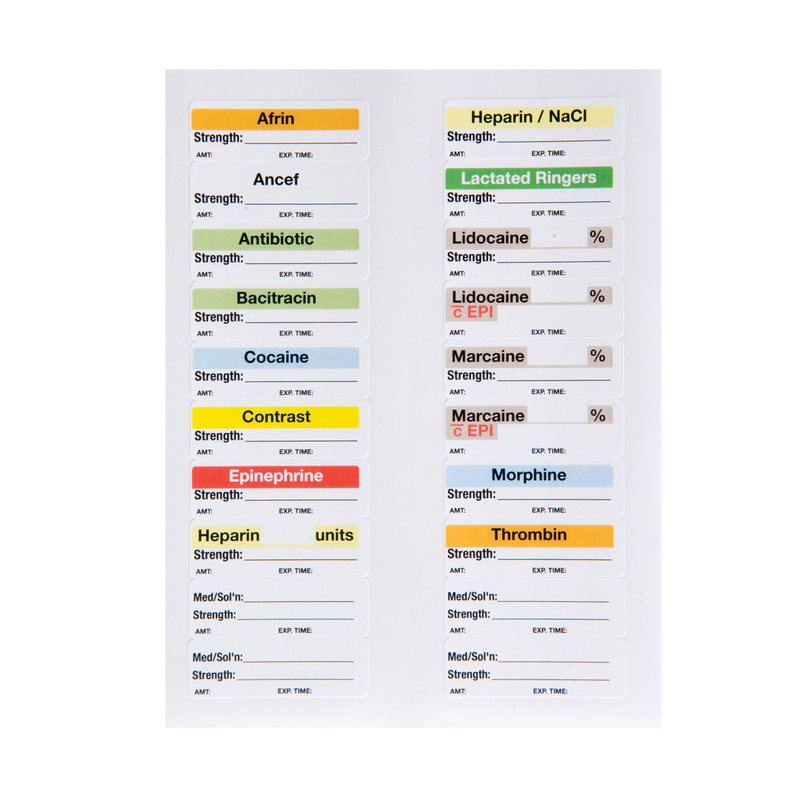 Designed to help clearly identify medications, medication containers, and other solutions. 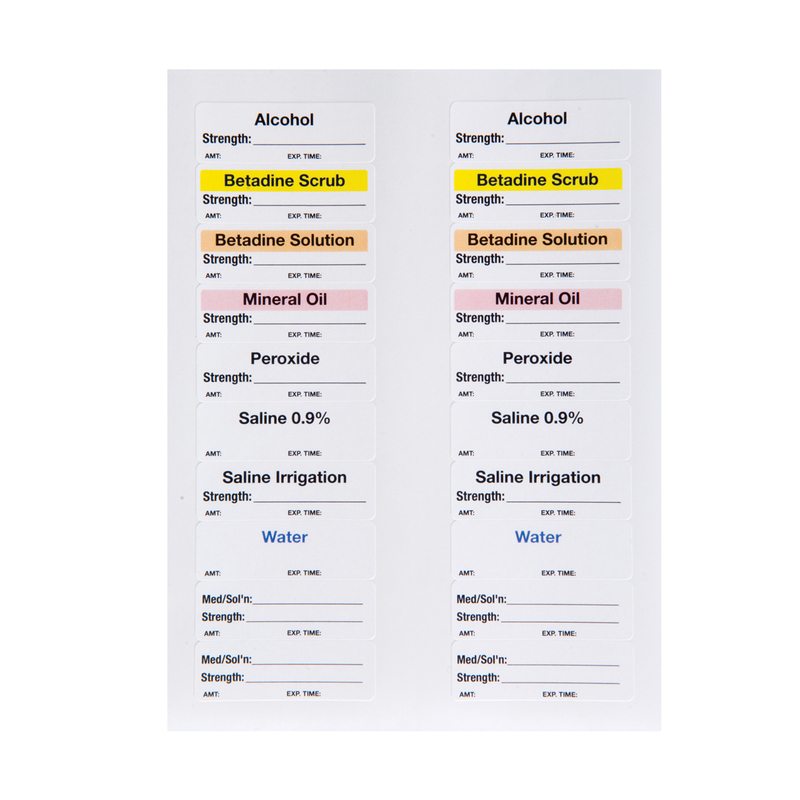 Procedure-ready labels save time and reduce medical waste. Not made with natural rubber latex. Sold sterile. Customization available.